If you are planning on visiting Dublin and you don’t know where to start, this article will give you information on the top 10 tourist attractions in Dublin City. Dublin is a vibrant and as welcoming city that welcomes everyone all visitors to discover the hidden gems in the city. Sightseeing in Dublin City hold so much history especially when you find yourself in the city centre. O’connell Street has the famous GPO which is a prominent to the 1916 uprising where Irish republicans sized and proclaimed the Irish Republic. From the beautiful sea view in Howth and Portmarnock all the way to the fun activities in Dublin Zoo, there is always something to do for everyone. Those who set out on a discovery tour of Dublin can easily reach many of the sites on foot or by bus and train although car hire Dublin city from Car Rental Ireland with affordable car hire prices is worth considering. 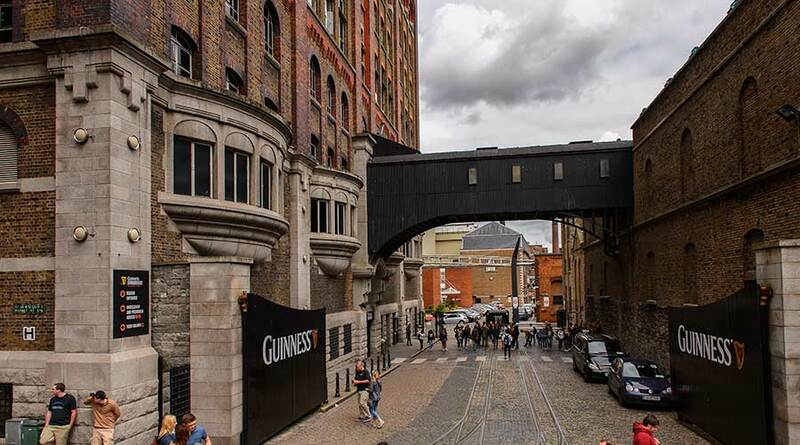 Located on the Southside of Dublin’s city center, The Guinness Storehouse is one of Ireland’s most famous tourist attractions. A lot of the time, the main tourist attractions are never worth your while but in this case, that statement couldn’t be further from the truth. You will not only be taken on a journey through time to see how Ireland’s most famous beverage was created but also how factory has changed throughout the years to keep up with the latest technological advancements. During your tour, you will be given a crash course in how to pull the perfect pint of Guinness, receiving a certificate after you create and sample your very own perfectly poured pint! After that, you will be able to redeem your entrance ticket for a pint of Guinness in the world famous Gravity Bar. The Gravity bar boasts some of the most extensive views of Dublin City Centre as well as looking out for the factory itself. It truly is something that has to be seen to be believed. If you walk around the room, you will be able to safely say you have seen the 4 corners of Dublin. If you feel like having something to eat after the tour, you can have a seat in Gilroy’s Bar or the Brewers Hall for some replenishment. 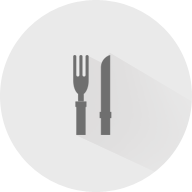 Make sure to try the Guinness marinated beef burger or some traditional Irish stew all while soaking up the atmosphere listening to some Traditional Irish Music! Visit the Dublin Zoo for a fun and relaxing day out with the family while you see the majestic animals. 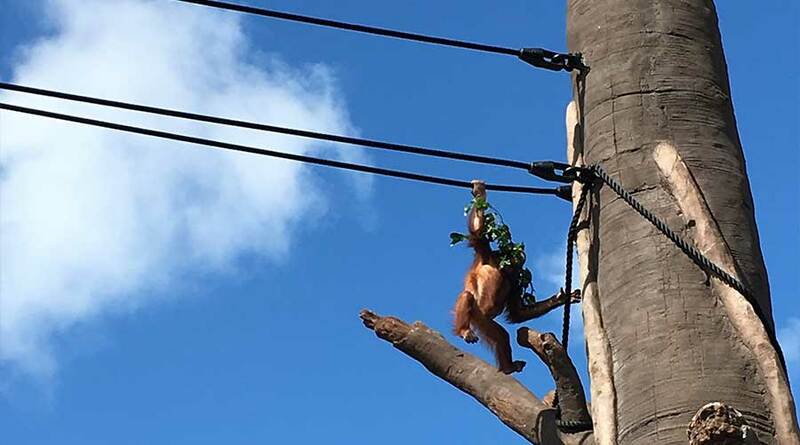 Founded as a private society by anatomists and physicists, in the beginning, it is now open to the public and a day in the Dublin zoo is very worth it. In 1840, it featured only 46 mammals and 72 birds originally donated by London Zoo. It has now been transformed to the state of the art Zoo cover over 28 hectares and attracting over 1 million visitors a year. In recent years Dublin Zoo has been competing with the Cliffs of Moher for the top position of Ireland’s biggest attraction, it not only offers a great day out but also a journey of learning and discovery about the world’s precious wildlife. Animals at Dublin Zoo live enriched lives in natural social groups where they are fit and healthy, able to breed and raise their own young. They can be observed in naturalistic spaces with vegetation, substrate and water features that reflect their native habitat. Check out the Dublin Zoo’s live cams for a look at a few local celebrities, including the penguins, elephants and a few of the key players on the African Savannah habitat. The National Gallery is located right in the heart of Dublin city and it holds the national collection of European and Irish art. Opened to the public in 1864 with 112 collected pictured, it has grown into a quality art gallery. 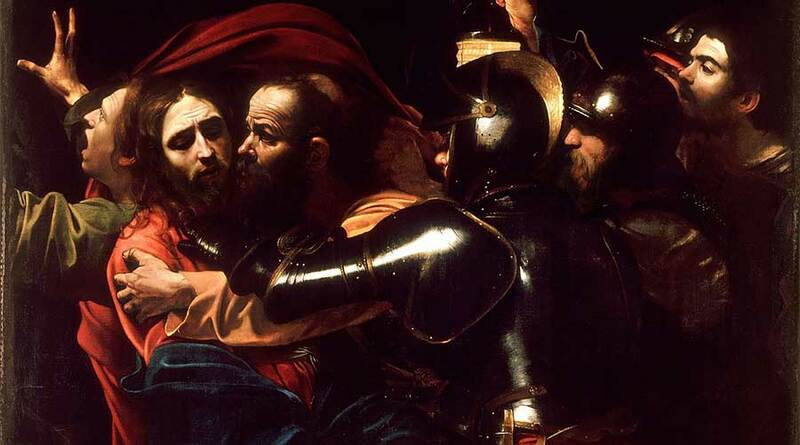 However, there is one painting that stands out from all others: Caravaggio, The Taking of Christ. While the painting is stunning with Caravaggio’s mixture of darkness and light, the story behind the discovery of the painting is equally interesting. The painting was lost during the 18th Century and its whereabouts remained unknown for 200 years. In 1990, the painting was discovered in a Society of Jesus residence in Dublin City Centre! 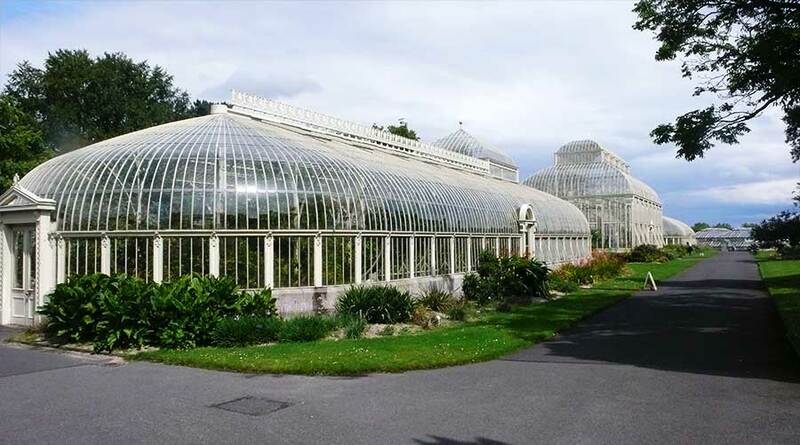 Located just 3 km from Dublin city center, the National Botanic Gardens are an oasis of calm and beauty, and entry is free. A premier scientific institution, the gardens also contain the National Herbarium and several historic wrought iron glasshouses. There are over 300 endangered species of wild plants been kept these includes 6 species of already extinct wild plants. The location will provide a platform to educate you about the plant species and there is even an audio tour guide which enables visitors to take a self-guided tour on their phones or souvenir player. The design of the garden create a stimulation and engaging environment where visitors can enjoy the pleasure of been around such a beautiful environment. Visiting the garden will also provide you with inspiration on how you can successfully design your own garden. The overall design and contents of the Garden creates an environment that is stimulating, whether a visitor is here for instruction or pleasure. However it should be remembered that the primary role of the Gardens is a scientific collection and therefore we do not allow dogs, picnics, bicycles, fishing, ball games, jogging or running, nor the playing of musical instruments or recorded music. Entry is free and we are open every day of the year besides Christmas Day. This is the oldest and largest Cathedral in Ireland, it has harbored and honored many different saints. The list is endless the cathedral has hosted the likes of Oliver Cromwell and the writer of the bestselling book “Gulliver’s Travels” who was a Dean of the Cathedral. His grave and epitaph can be seen on the grounds of the building. However, the most famous association with the Cathedral is Saint Patrick who it is said conducted baptisms in the park adjacent to the cathedral. 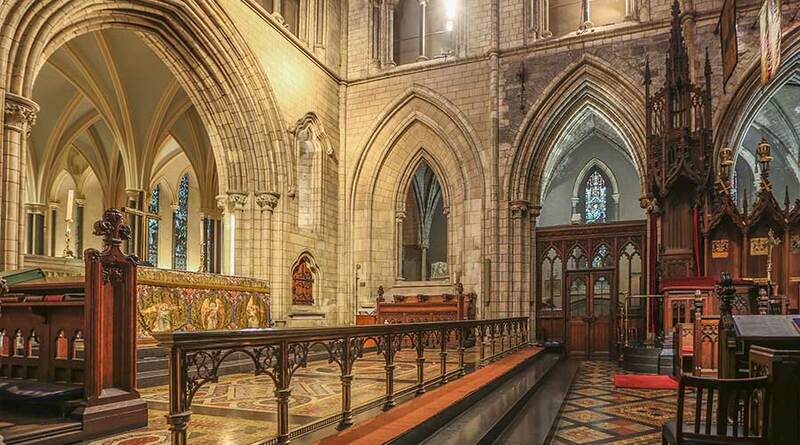 Visitors to the Cathedral will discover a holy building that has evolved for over 835 years. Free guided tours are held daily where visitors will get a chance to enjoy a rich and compelling cultural experience. 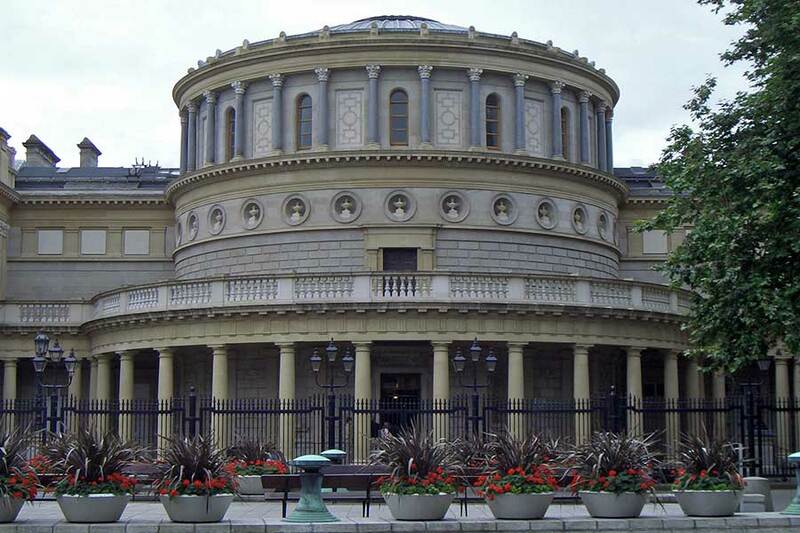 Established in 1877 by the Science and Art Museums Act, the National Museum is one of Dublin’s most popular attractions which is a must see if you love to know more about the history of the Irish people. This museum is famous for its Victorian style, which houses one of the world’s finest and fullest collections still to be seen today. There are over Two million species, of which half are insects, live side by side, appropriately for a natural history museum. The exhibition also shows unique treasures of early medieval Ireland, exploring their connections with both the pagan past and the wider Christian culture of the time. The objects on display there are of international significance they represent major landmarks in early European culture. Among the most important objects exhibited are the gilt and painted cartonnage case of the mummy Tentdinebu dated back to the 22nd Dynasty c. 945 - 716 BC, the mummy portraits of a woman and a young boy dated to the first and second Century AD, and a model of a wooden boat dated to the early 12th Dynasty c. 1900 BC. There are also a number of important stelae, tomb furniture, offering tables, jewelry, and household equipment. The National Museum’s Egyptian collection comprises about three thousand objects, the majority acquired from excavations carried out in Egypt between the 1890s and the 1920s and ranging in date from the Stone Age to the middle ages. Now the museum is used to educate and inspires and will leave you feeling humbled amidst the vast and wondrous diversity of life on display as it is a great place to bring your kids. It is also important to know that entry into the the museum is free so you can bring all members of your family along. As a visitor, you would have heard stories about the Leprechaun and if you have not heard about him before this is an opportunity to get to know there are many tales about him and the people he meets. The National Leprechaun Museum is the first ever attraction dedicated to Irish mythology; it opens up a fun and magical world full of fascinating folklore, mythology and enchanting stories. 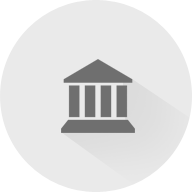 Based in the heart of Dublin, you will explore the museum on a guided tour with a storyteller. They will bring you through the spaces and tell you about Irish folklore and mythology. You will explore spaces that reflect these stories, recreates experiences typically associated with leprechauns. The result is a series of captivating, interactive experiences - from the first ever sighting back in the eighth century, through to modern day representations of the leprechaun in film and popular culture - and plenty of adventures in between. There are many car parking lots to park your car rental Ireland car, close to the museum Jervis Street car park and the Jervis Shopping Centre car park are both ideal, while Arnotts Park Rite car park and the Ilac Shopping Centre car park are both nearby. 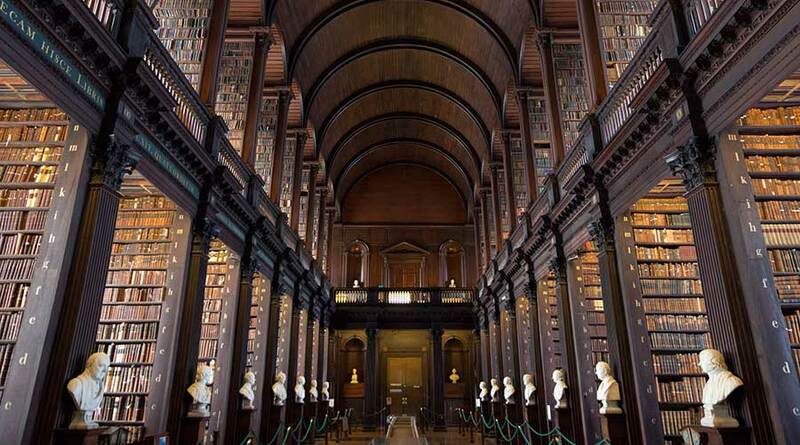 This is best known for the Book of Kells, but it is worth a visit just to see the "Long Room," where the book is held. This room was actually the inspiration for a room called the Jedi Archives in “Star Wars Episode II: Attack of the Clones.” The college, which was founded by England’s Queen Elizabeth in 1592, is literally filled with history and a tour is a great way to spend an afternoon. The campus makes for great people-watching in the summer when students gather outside the Pavilion Bar (known as "The Pav") to take in a game of cricket. This is the headquarters of the main sporting body in Ireland, the Gaelic Athletic Association (GAA), who are in charge of hurling and Gaelic football. 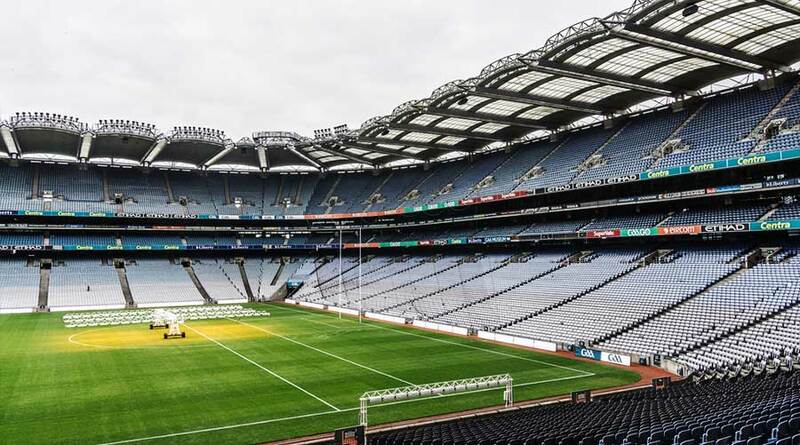 As well as being the spiritual home of Irish cultural nationalism, it is also the fourth-largest sports stadium in Europe. Tickets for games toward the end of season (around August) can be hard to come by, but there are usually plenty of tickets for the games at the start of the season, around May. It is also well worth coming here to visit the GAA museum and for a tour of the stadium. Dublin Castle was formerly the centre of British rule in Ireland. 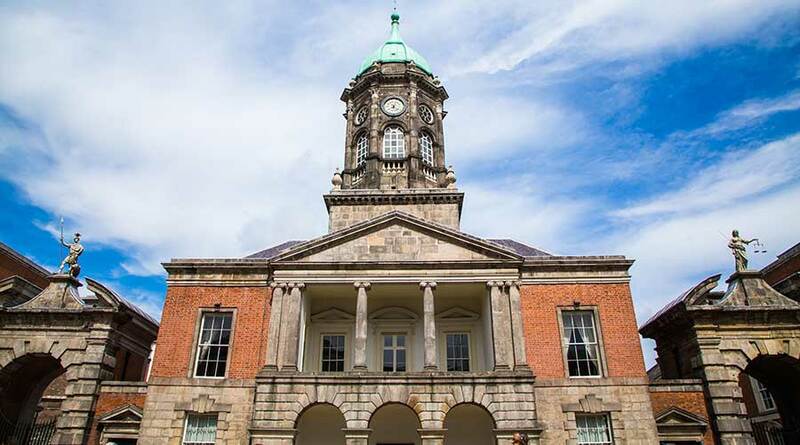 The best thing to visit here today is undoubtedly the Chester Beatty Library, which has some of the finest collections of Eastern art in the world. Alfred Chester Beatty, an American mining magnate, was a major collector of Eastern art. He moved his collection to Ireland in 1950. Admission is free – so a visit here is an absolute must. Dublin Castle also contains a police museum. 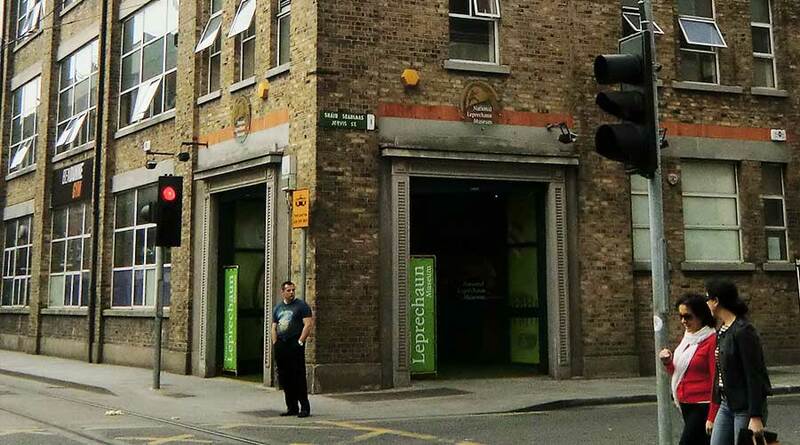 - Dublin City Car Hire - Office information on picking up a car hire in Dublin City. 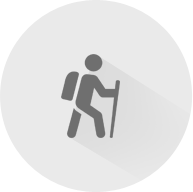 - Car Hire Dublin Airport - Office information on picking up a car hire at Dublin Airport. - Choosing the right Car Rental - Guide on what vehicle to rent for a city break, road trip or a family car. 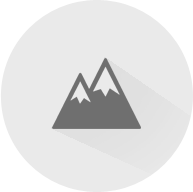 - Car Rental Excess cover - Explains what insurance coverage you receive with Car Rental Ireland vehicles.